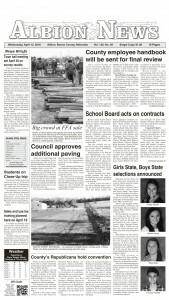 Former weight room removed at Boone Central High School. 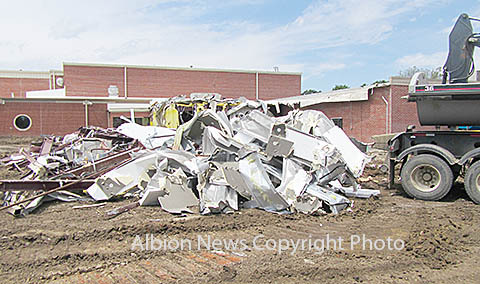 Demolition of the weight room was the main activity last week for Bygland Dirt Contracting at the Boone Central School construction site. Next steps in the process will be deep excavation to remove portions of the old high school building, and demolition of the east entrance and commons area to prepare the existing building for the addition.